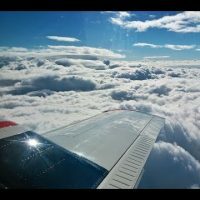 Anyone who has any experience with the EAA (Experimental Aircraft Association) has heard of their Young Eagle Program. It introduces kids aged 8-17 to the world of aviation with a Stem-oriented briefing that covers the very basics of flying, the Young Eagle Program itself and flight line safety. Then they are given a an orientation flight. All this is provided at no cost to the child or his/her parents. The printed materials are provided by EAA and the flights are provided by volunteer EAA members. There are also follow-on benefits for kids who pursue their aviation education. The response to the Young Eagle program continues to be very positive and, as expected, some parents watching the program in action have asked how they can get the same type of experience. Enter EAA’s Eagle Flight Program. The flight review was sort of a catch-22 type of thing. Once it expired I could not fly as pilot in command. That meant that I couldn’t do my flight review in my own aircraft. Why? None of the flight instructors near me are qualified to fly my Swift. Oh, one or two have a tailwheel endorsement, but none of them have the required 15 hrs of PIC in a Swift to qualify for insurance coverage. That meant that I had to rent a plane and instructor for the review. I really admire those of you who rent planes to feed your flying habit. Maybe it’s the lump-sum payment the day of the flight, I don’t know. Owning your own plane and hangar are certainly not inexpensive but the costs are sort of hidden when you go fly. The only outlay is at the fuel island which is bad enough for sure but rarely involves 3 digits before the decimal point. 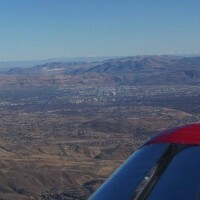 Reno is now down to two flight schools – one at each airport (KRNO and KRTS). 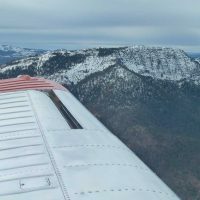 The school at KRNO has two aircraft, a Cessna Skycatcher and a G-1000 Cessna C-172 (180HP). The school at KRTS has two aircraft, a Diamond DA-20 and a Diamond DA-40. While the Diamonds look interesting I decided I’d get some experience with the G-1000 C-172. 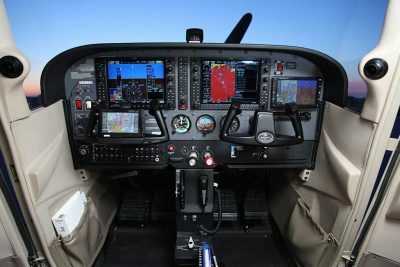 Both are equipped with the G-1000 but I have flown the C-172 quite a bit so I would just be learning the instrument panel rather than the panel and a new aircraft model. I read through Garmin’s online operating manual for the G-1000 and found that it has many of the same functions as the ‘big’ glass I flew before I retired. The buttons and knobs were new, of course, and really take hands-on practice to become proficient. Once the instructor was confident that I had retained enough information from the three Flight Review courses I had taken in the last 60 days we went to the aircraft, plugged in a power cart and went over the operation of the G-1000 screens. If you have never used the G-1000 system you will not become proficient with an hour or two of instruction, even with hands-on time. But the instructor eventually felt that I was capable of doing everything that a VFR flight review would require (radio and transponder operation and flight plan insertion/activation) and we headed for the runway. The flight went well and my landings were acceptable – even with the nosewheel and an airplane with an actual glide ratio. The Swift comes out of the air like a crowbar so the landing patterns took a bit more planning for the descent. 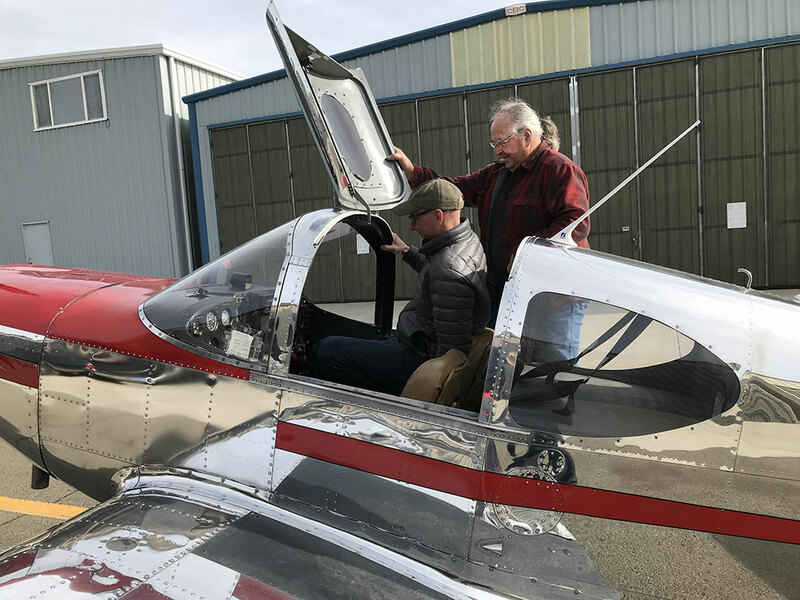 We flew for 1.4 hours and by the end of our time together the instructor felt that I was safe to fly and signed my logbook with a satisfactory flight review completion. That made me legal to fly a nosewheel plane with passengers but I still needed landing currency in my taildragger. We had a TFR in place at Stead last week for the annual Pylon Racing School so I did some more waiting. By the time that PRS was completed we had a cold front with 30-40 MPH winds move in. It’s still blowing today, raining, snowing in the mountains (in June) and Stead has a 2200′ ceiling. Still waiting. The weather is forecast to move out of the area throughout the day and be nice the rest of the week with temps up into the 90s by the end of the week. If that really happens, this week I WILL become current in my airplane again. I hate to admit it but today marks exactly one year since I last flew my Swift.